Brody, J, Buhrman, H, Koucky, M, Loff Barreto, B. S, & Speelman, F. (2012). 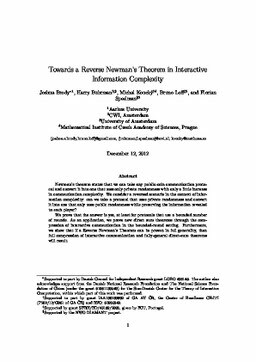 Towards a Reverse Newman's Theorem in Interactive Information Complexity. Electronic Colloquium on Computational Complexity.